I'm not a fan of Masterchef. I don't get to watch a lot of TV. Not in a TV is so dull and I am so much better than that kind of way, more in a I have 3 kids and if they're not watching it I'm gonna catch up on some sleep type of way. But I did record the macaron cake tower on Monday's Masterchef to watch when my friend alerted me to the fact that it would be on. Eeeek - what a crazy show. Although I must admit I had to fast forward a lot of it, from what I could understand they gave the contestants less time to complete this than they knew required and then sat there belittleing their contructions. I say good work to all those poor contestants, think I would have been in tears in the same situation. Oh well, I guess that's what the show is about. Although it has inspired me. I have been looking at some macaron cake towers lately and I think I will put it on my to do list. In the meantime here are some Violet Macarons. Take your time, relax, take a big deep breath and enjoy them. Life unlike Masterchef is not a race. 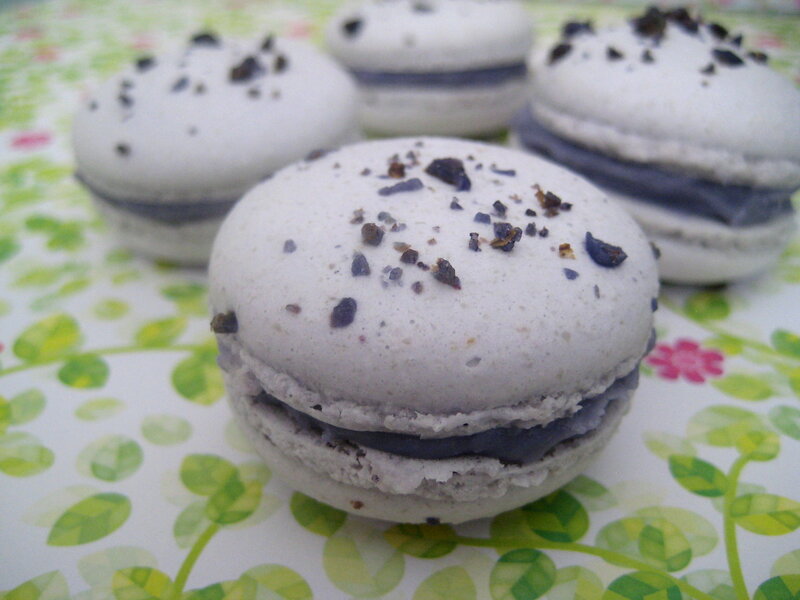 Click here for recipe - follow the rose recipe and replace crystalised roses with violets and pink food colour with purple/ violet. 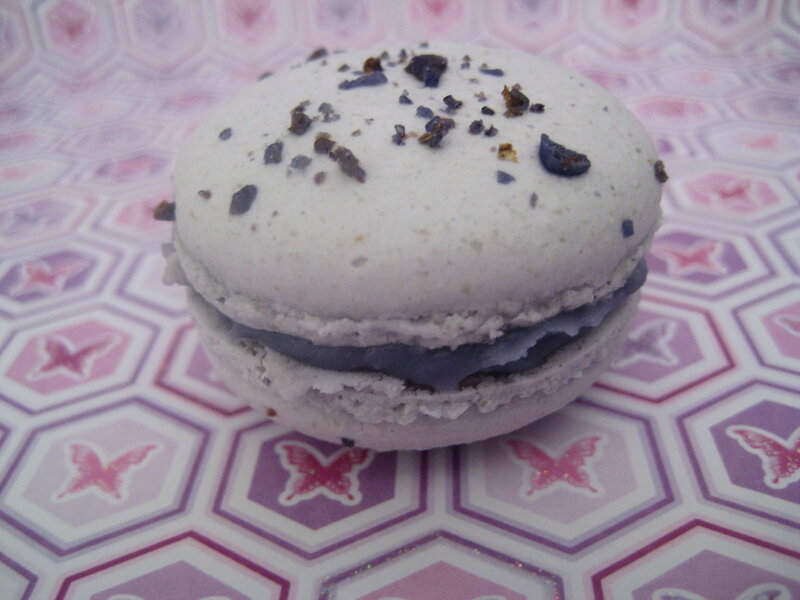 Crystalised violet is available from good cake decorating shops or delis. Bring cream to boil, pour over finely chopped white chocolate and stand 5 mins. Stir until all chocolate has melted and mixture is glossy mix in violet essence and food colour. Chill approx 45 mins and use as required. **note my violet extract is from overseas. 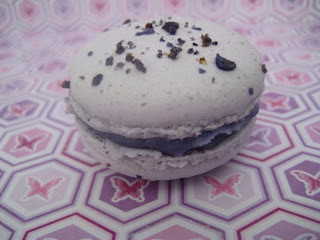 If you are unable to source violet extract you can just colour the ganache violet and rely on the macaron violet flavour. 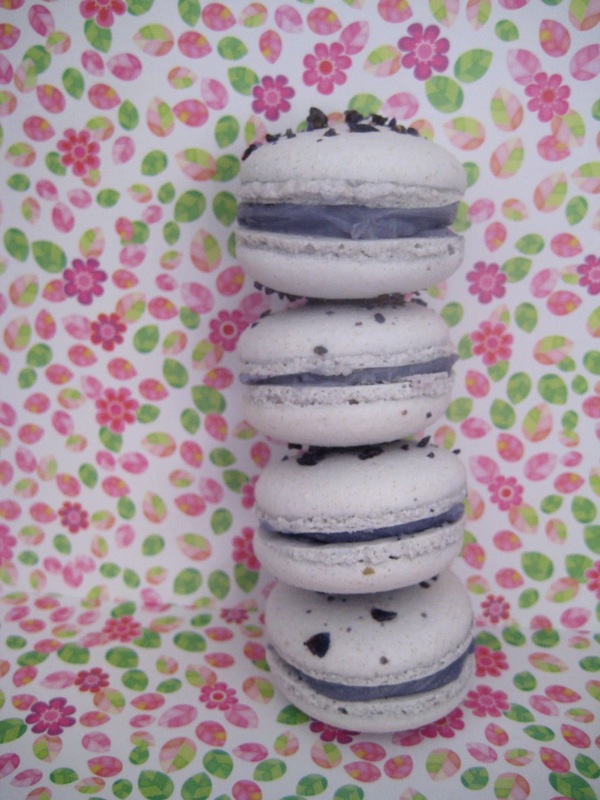 These macaroons look great, going to keep my eye out for a macaroon tower, that sounds pretty grand. Beautiful and tempting Muffins. Good clicks. These look so pretty! 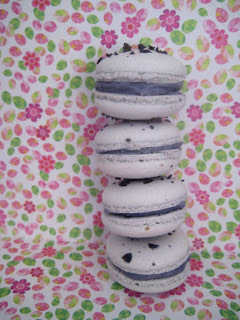 Another great thing about them is the lack of black olive filling bleah! I look forward to seeing your macaron tower. Elizabeth - think you probably spend your time more wisely. Butter Hearts Sugar - oh so I wasn't the only one thinking that, although I understand Adriano Zumbo is a pastry genius so I imagine it might be ok. These are just gorgeous. Love the color and the flavor.